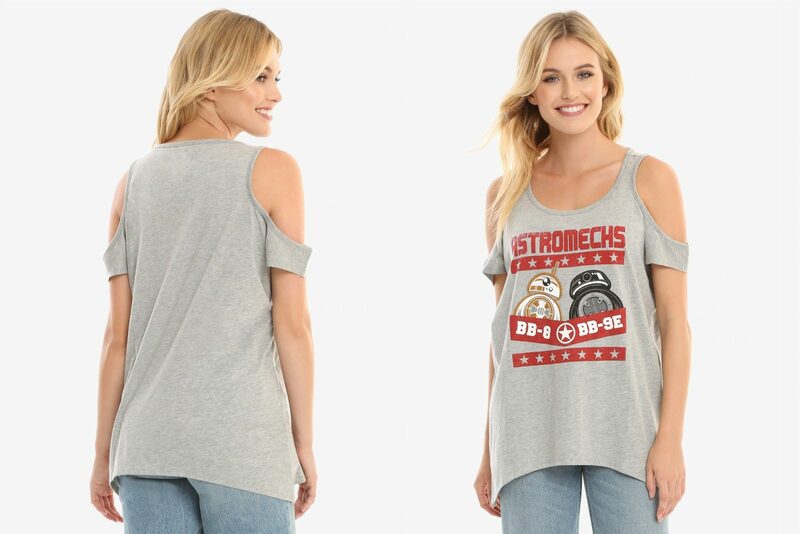 This Her Universe x Star Wars The Last Jedi top is now available at Box Lunch. 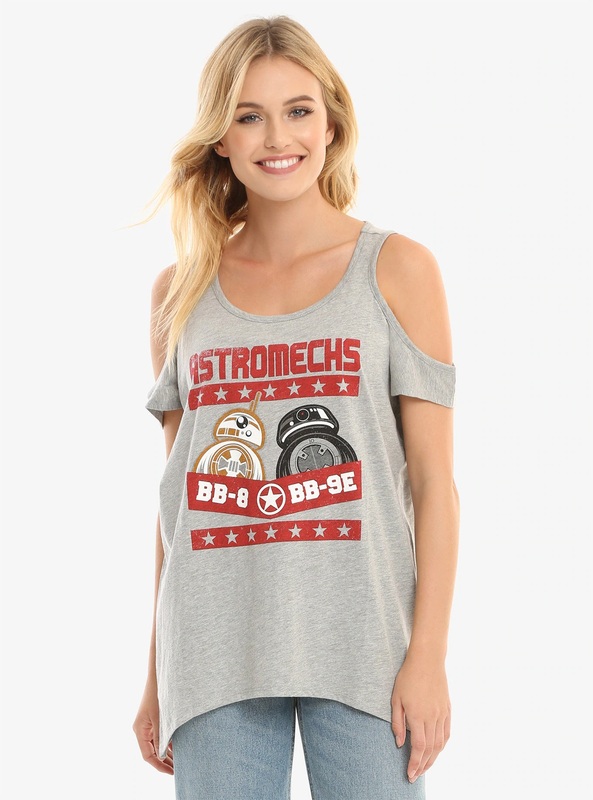 Made from 60% cotton / 40% polyester, the heather grey top features a large front print of BB-8 vs BB-9E. The artwork is in the style of a boxing match advertising poster. The top has a mix of t-shirt and tank top design, with cut-out ‘cold shoulders’ and dropped sleeves. Available in sizes XS to 3X, the top is priced at US$32.90 each – Box Lunch can ship internationally.